The proposal is geared in part to help stabilize the Health Benefit Exchange, which has wrestled with double-digit premium increases and attempts by Republicans in Congress and President Donald Trump to dismantle the Affordable Care Act. Called the Cascade Care legislation, the plan would be offered in every county. Cascade Care would not only help stabilize the individual health-insurance market and keep deductibles from rising but would be a step toward coverage for all state residents, said state Rep. Eileen Cody, D-Seattle. “This is the step that we can take to make sure we are offering our citizens a plan that looks like Medicare,” Cody said. Washington state Insurance Commissioner Mike Kreidler said getting the legislation passed will be difficult, but is necessary, especially for people buying health insurance on the individual market who don’t qualify for a subsidy. “It is going to be a challenge to enact. It is going to be a challenge to implement. But it is worth the cost because there are people out there still hurting,” Kreidler said. Cody said insurance companies know about the proposed legislation and are not “overjoyed” about the plan. 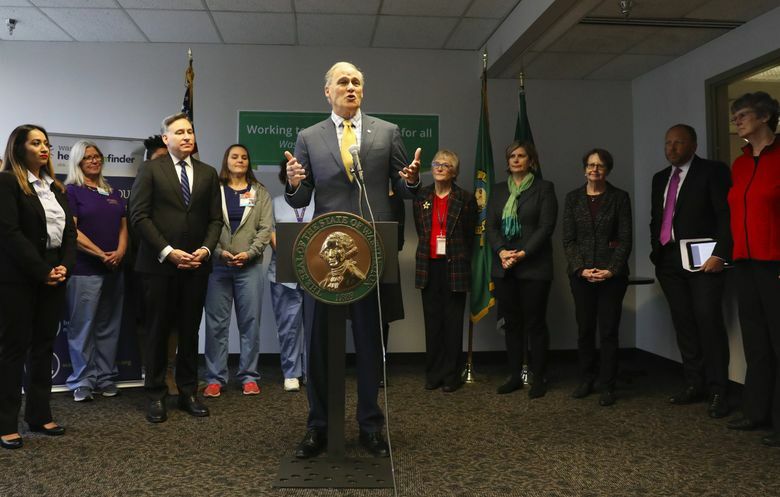 Inslee’s proposed 2019-21 state operating budget would provide $500,000 to fund the initial work to set up the public option. After that, lawmakers and officials would have to determine how much ongoing money would be necessary. Right now, 14 Washington counties only have one insurance option offered on the exchange, according to Jason McGill, senior policy adviser for Inslee. Those are: Asotin, Chelan, Clallam, Douglas, Ferry, Garfield, Grays Harbor, Island, Okanogan, Pacific, Pend Oreille, San Juan, Skagit and Wahkiakum counties. The legislation also proposes subsidies to help low-income families and individuals afford health insurance. It would require the state to develop a plan that would provide subsidies with the goal of having consumers spend 10 percent or less of their income on premiums. Tuesday’s proposal does not fund that part of the legislation, according to McGill. Democratic officials this election season talked often about health-care issues, including the expansion of health coverage or making it more affordable. 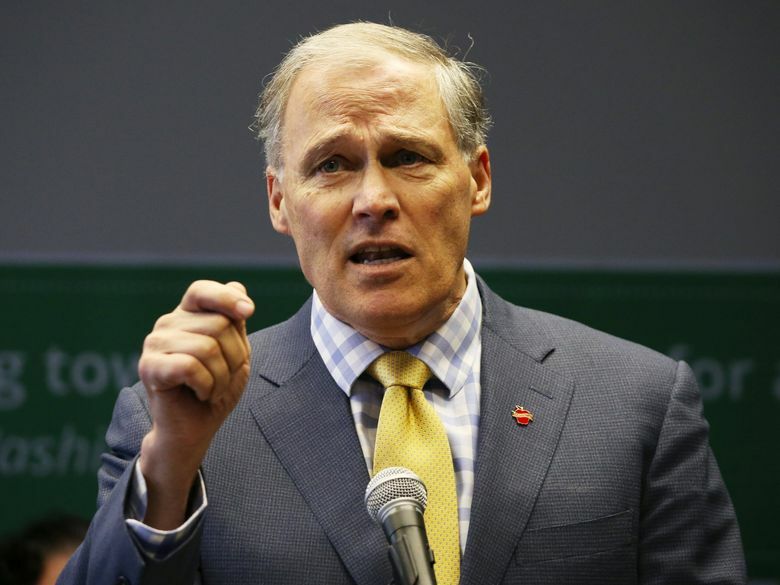 The proposed legislation comes as Inslee seeks to raise his profile. At a news conference announcing the health-plan proposal, Inslee also was asked about addressing climate change, an issue he champions. He said it doesn’t help to have a “climate denier” in the White House and that the federal government needs to work with Washington state to reduce carbon emissions.